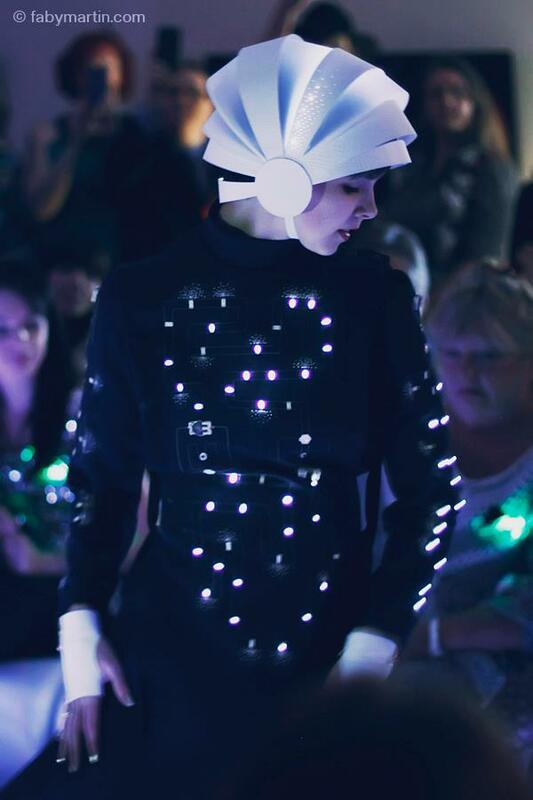 The MakeFashion Gala is the highlight of the festival, featuring innovative work by local designers. The event will feature innovative cocktails, exciting performances and a runway show from our designers. The concept of Ferro Fuse is to provide the Calgary community with a new, functional way of interacting with ferrofluid technology – as fashion and art. The properties of the ferrofluid contained within a display vessel, and embedded as part of an ensemble of other fashion designs serves to solidify the connection between art, fashion, and technology. Maria Orduz is a Colombian Born Fashion Designer. She discovered her love for the industry at an early age, often watching international runway shows and attempting some sketches of her own. This love took her to Toronto, where she graduated Top 20 in the Fashion Techniques and Design program at George Brown College. Maria has been involved in the Calgary fashion scene since 2009 participating in Alberta Fashion Week, Designing for local film “ The Subliminal Rabbit Presents” and “ The Golden Ticket Charity Gala”. She has also been recognized for her participation in “Triumph’s international Inspiration Award” placing Top 10 ( Featured in Elle Canada), Metro News “Wearable Art Contest” ( second place) and has been recognized by Avenue Magazine ( Calgary) as one of the Top 10 Designers to watch. Maria hopes to portray her love for creativity with the MakeFashion Project, creating a beautiful garment with elements foreign to the designer. Kath has lived all of her life in Calgary except four years she spent in Vancouver studying visual art at the University of British Columbia, and is now spending her days as an arts marketer and her evenings, nights and early mornings as a visual artist. .She likes art because she likes having her mind blown, so she likes exploring ideas that tie her brain in knots, confuse, or fascinate her, and the intersection between technology and art is a great way to do that – so she’s super excited to be part of make:fashion. Dee Fontans is one of your Cultural Ambassadors for Calgary 2012. She has dedicated her working career and life to the development of the arts as a master craftsman, volunteer and educator. Ms. Fontans studied fashion design at Parsons and received her BFA inMetalsmithing at the New York State University. Dee defines herself as an autodidactic polymath and multimedia artist. 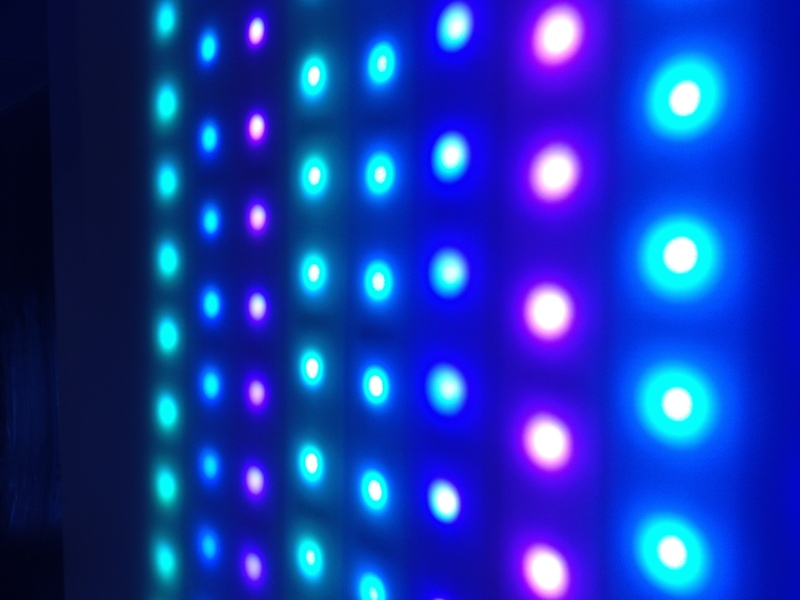 Project: City Lights – The city lights in the night shine so bright it’s quite the sight. 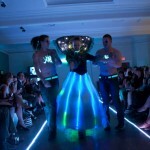 The cocktail dress “City Lights” combines Canadian architecture, art and technology. The dress is an interruption of the light show in the Calgary cityscape. Laura Dempsey is a designer with a degree in architecture from Dalhousie University and a particular interest in light and its many incredible qualities. She has lived in London (UK), New York, Halifax, and Boston, but is happy to be back in Calgary and to have the opportunity to immerse herself in the city’s vibrant design community. Her previous wearable artworks were presented at the NSCAD Wearable Art Show, where she was awarded the Juror’s Prize. Angela Dale is a costume designer with over 25 years of experience working in theatre, film, opera and dance. She is intrigued by the marriage of technology and design and excited about the possibilities this creates. Project: The “Chameleon Cocktail Dress” and headdress uses LED’s and micro controller technology to create an animated color changing high fashion garment. Kyle Nylund is a practicing artist and designer working in the Calgary area. He holds a BFA from the Alberta College of Art and Design. Kyle is very inspired by contemporary fashion and aspects of gender. His work often reflects these influences using a wide variety of materials to create art on the body. Night Envy is committed to producing and providing one of a kind fashion articles that can help the user become the focal point of any party environment. For over a year we have been lighting up parties across the country and now we want to do the same for you! This did get pushed back right? Yes it did – it got moved to January, likely around the 25. I am excited to be modelling at the Make fashion Gala. Please do let me know when you should need a model as would just love!